This isn't the first time the Steinle's referenced their faith. “Our faith is strong, and there’s no room in our hearts for a thought of that person,” he said. Kate’s mom Liz Sullivan called [the assailant] a pathetic human being. “I think the forgiveness has to come from God,” she said. The memorial service for San Francisco resident and Pleasanton native Kathryn "Kate" Steinle who was fatally shot on San Francisco's Pier 14 last week was held at a winery in Pleasanton Thursday afternoon. At least four stories in the past 30 months and not a question nor an answer about the specifics of the family's faith. None of the visuals I saw in the television news reports suggested anything specific. Holding a funeral, or even a memorial service, at a winery is a bit out-of-the-norm. You'd think that might provoke a reporter to ask for more information. The journalism question: Why did no one, seemingly, ask for any more detail? 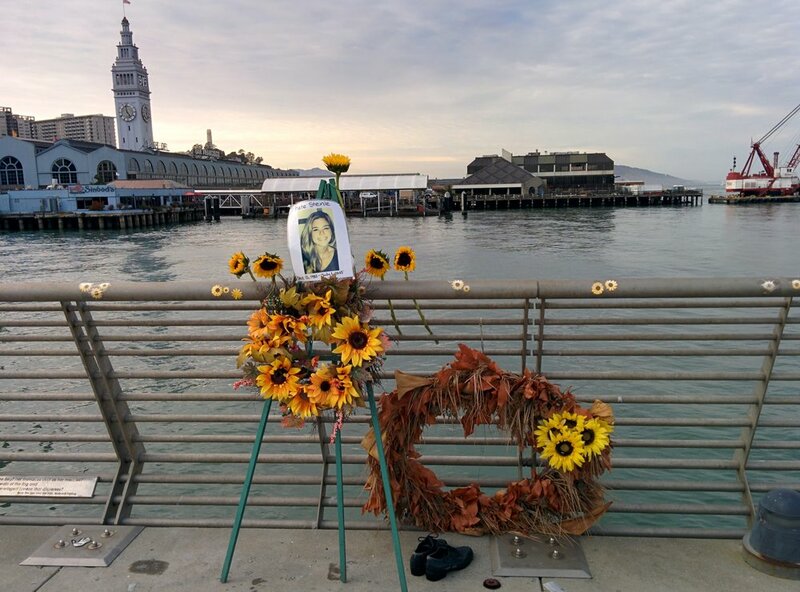 Why is the Steinle family religion so generic in all these reports? I'm not suggesting the need for a deep dive, but, could we get some identifier, some detail? It's more than idle curiosity, I believe. It's called #Journalism.